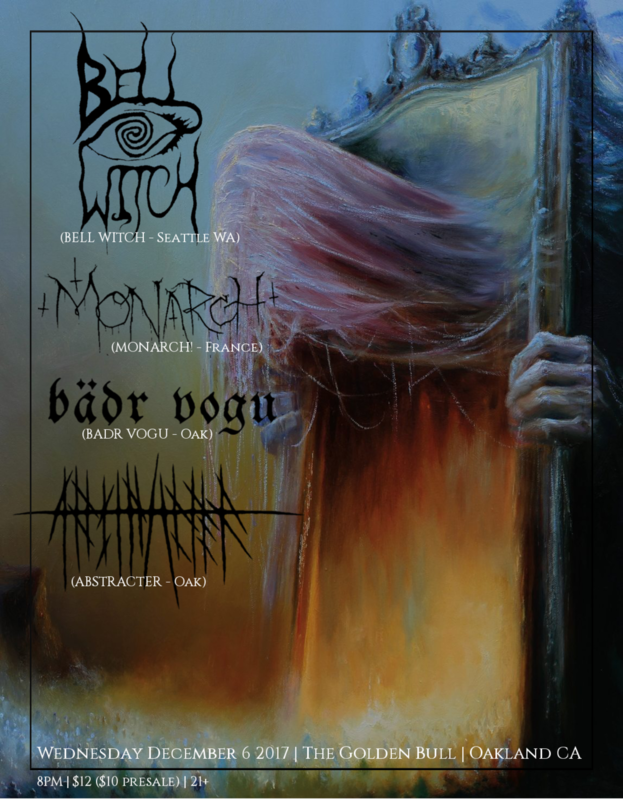 Upcoming Shows with SUTEKH HEXEN, HISSING, BELL WITCH and MONARCH. 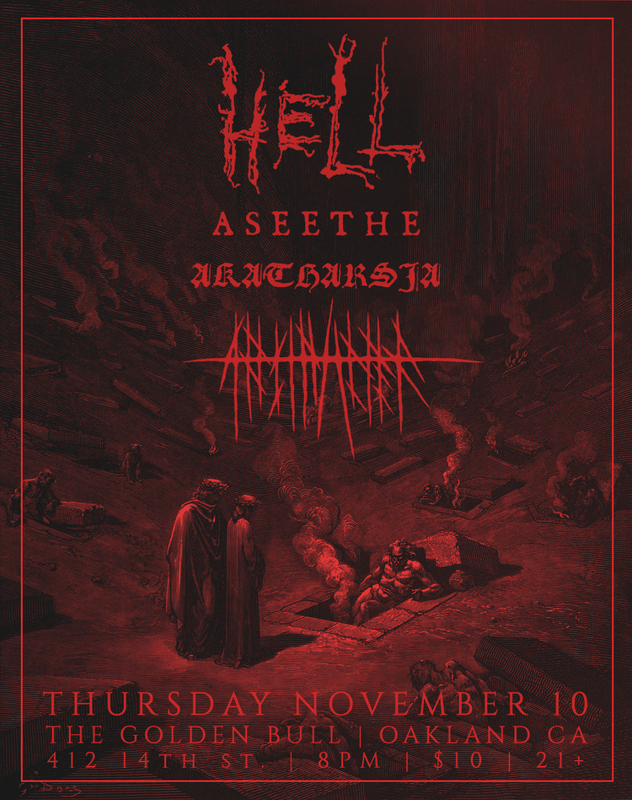 Greetings, two shows have been announced, one on Monday October 16 at the Blue Lamp in Sacramento with SUTEKH HEXEN, HISSING (WA), and DEFECRATOR, while the second one will be here in Oakland at the Golden Bull on December 6 with BELL WITCH (WA), MONARCH! (FR), and local buds BADR VOGU. These will be our final shows of a year nearly completely devoid of live activity as we worked on our new album. We await you there. On Friday February 10 2017 we'll be for the first time ever in Portland OR to perform at day one of Famine Fext MMXVII. 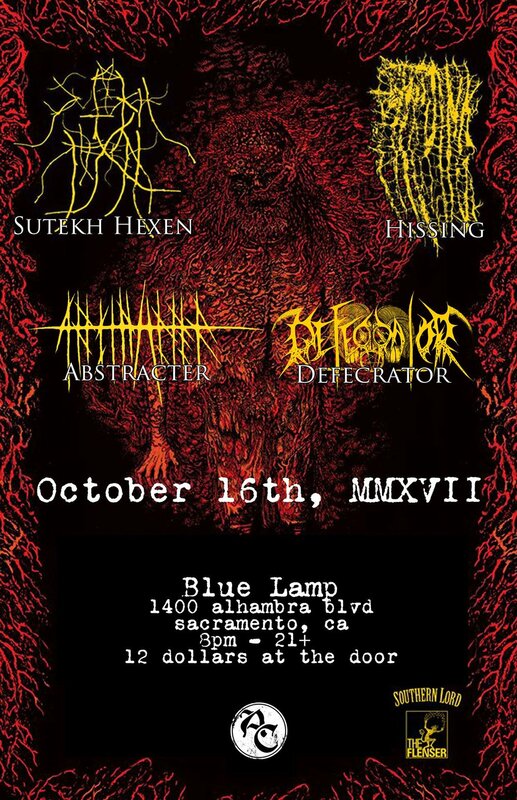 We'll be playing many important extreme/underground bands like Revenge, Ritual Necromancy, and Funebrarum, as well as our Bay Area friends Necrot and Gloam - really happy to share a bill with them again. See you there.